The Galaxy Note 3, as well as its successor the Galaxy Note 4 and non-conventional brother Galaxy Note Edge are set to receive a new update courtesy of Google and Samsung. Indeed, Lollipop is around the corner for the famous phablets, although an exact release date hasn’t been confirmed. Our best guess, based on the usual Samsung timeline would be that the update would roll out in February. Even though Samsung is a bit slow in rolling out the brand new Android 5.0 Lollipop to its devices, the most likely reason for it is that TouchWiz needs a hefty work-over to function correctly with the new OS. 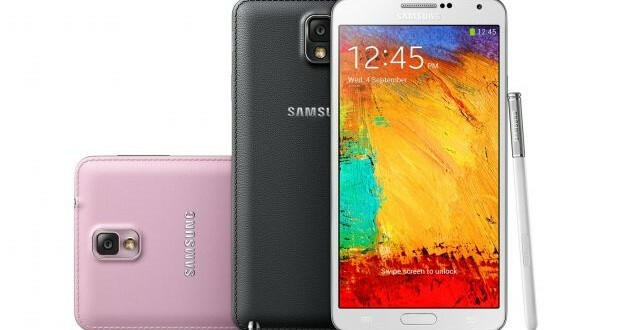 The Galaxy Note 3 has been confirmed by Samsung to receive Android 5.0 Lollipop, but it will probably be towards the end of the list, the company rolling out the update to “fresher” devices like the Note 4 and Note Edge. Rumors say that all three aforementioned devices won’t actually get Android 5.0, but jump to Android 5.0.1 Lollipop instead. That would explain the delay the South Korean company is posing on the OTA release, too. Android 5.0.1 Lollipop comes with a few extra fixes that seem to have calmed down Nexus users with devices riddled with bugs, so Samsung releasing a more stable version of the OS would be the best course of action. Android 5.0.1 Lollipop will still come with the proprietary TouchWiz UI on top, that’s for sure, but when it comes to the Galaxy Note 3, 4 and Edge, the UI does have a few stylus-oriented features that make the user interface a bit more friendly and popular. Overall, people aren’t delighted by the fact that Samsung is including the same TouchWiz skinning on Android 5.0.1 Lollipop, but the company did reveal that the UI would be getting a complete overhaul by the time the Galaxy S6 sees the light of day at MWC 2015. Until then, we should see most Galaxy Note 3, Note 4, Note Edge and even Note II devices receive the Android 5.0.1 Lollipop update, as well as the Galaxy Alpha, Galaxy S4, Galaxy S4 Mini and Galaxy S5 Mini. We will keep you up to date as soon as Samsung reveals an exact release date for the OTA.